In what is certain to be one of the most talked-about fiction debuts of the year, Yasmin Crowther paints a magnificent portrait of betrayal and retribution set against a backdrop of Iran’s tumultuous history, dramatic landscapes, and cultural beauty. The story begins on a blustery day in London, when Maryam Mazar’s dark secrets and troubled past surface violently with tragic consequences for her pregnant daughter, Sara. Burdened by guilt, Maryam leaves her comfortable English home for the remote village in Iran where she was raised and disowned by her father. When Sara decides to follow her, she learns the price that her mother had to pay for her freedom and of the love she left behind. Yasmin Crowther lives in London. She grew up in an Anglo-Iranian household. This is her first novel. Maryam says she hits Saeed to make him strong, just as her own father hit her as a girl. Do you believe this? Why or why not? Discuss the reasons you think Maryam feels so angry at Saeed. What does he represent to her? Why do you think some abused people grow up to continue that abuse, while others vow never to repeat the “sins of their fathers”? When Maryam returns home after taking Sara to the hospital, she says to herself, “I should never have left.” What is she referring to? The hospital? Iran? And what does she mean by this? How does her statement foreshadow what happens in the rest of the novel? What is the moral of the Gossemarbart story and how does it relate to Maryam’s own story? Discuss the symbolism of the stone woman and its significance in the novel. “Your father was kind to us before his death,” Hassan tells Maryam upon her return. Was there any good in this man? Was he a product of his time and traditions? What makes a man like Maryam’s father turn out the way he does in contrast with a man like Doctor Ahlavi? Farnoosh, Hassan’s unmarried daughter, says to Maryam, “You think [having your family is] enough? When you leave yours behind? Please don’t patronize me.” Can you explain Farnoosh’s point of view? Do you see Maryam as selfish? Why or why not? “For each freedom we choose, we must give up another,” Maryam says. What does she mean in terms of her own life? Do you agree or disagree, and why? 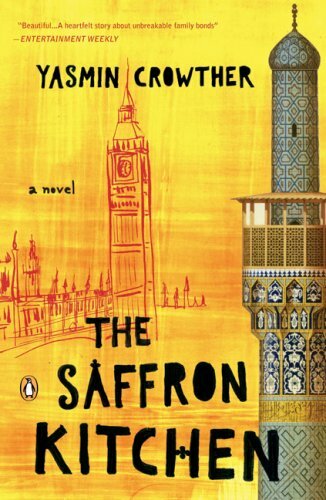 Where does Maryam’s love for Iran end and her love for Ali begin? Are they separate?